Canada is known for its vibrant diversity, breathtaking landscapes, and friendly communities, drawing investors from around the world. Offering temperate rainforests, mountains, plains, the Great Lakes, and the longest coastline in the world, real estate in Canada is as varied as the cultures that call it home. Property types range from residential (detached & attached), condo/strata, to recreational, agricultural, and land. Many Canadian families live in suburban homes with several bedrooms. Within cities you'll find a variety of housing options, from townhomes to condominiums. Most Canadian homes are built using wood and larger structures (over four levels) are constructed using metal, concrete, and glass. English and French are the two official languages of Canada. While English is the most widely-spoken, in different communities you'll find populations speaking other languages including Mandarin, Hindi, Russian, and Arabic. The Philippines represent the largest immigrant source country for permanent residents, surpassing both China and India in 2011. Thus, it's no surprise that Tagalog is the fastest-growing household language in Canada. Where are immigrants settling in Canada? 42% are selecting Ontario, 20% choose Quebec, and 16% prefer British Columbia to name the top provinces. The real estate process is straight forward and well developed in Canada. Typically, square footage is defined from the exterior of the walls in, and includes only finished spaces (no unfinished basement areas or garages). However, be aware that different real estate boards and builders may include decks, garages, and unfinished spaces in their square footage measurements. There are many REALTORS® in the CENTURY 21® System who specialize in aiding foreign investors and can guide you through this process. Average real estate prices vary city-to-city. 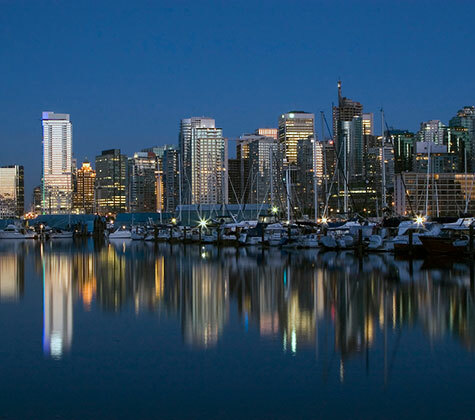 In Canadian dollars, the average price of a purchase in June 2013 was: $762,861 in Vancouver; $442,529 in Calgary; $274,121 in Winnipeg; $531,374 in Toronto; and $329,512 in Montreal. There are some restrictions for non-residents purchasing real estate in Canada. Your CENTURY 21® Agent will be able to assist you in understanding the home buying process. Please seek professional advice from a qualified lawyer and tax adviser before attempting to purchase real estate in Canada.